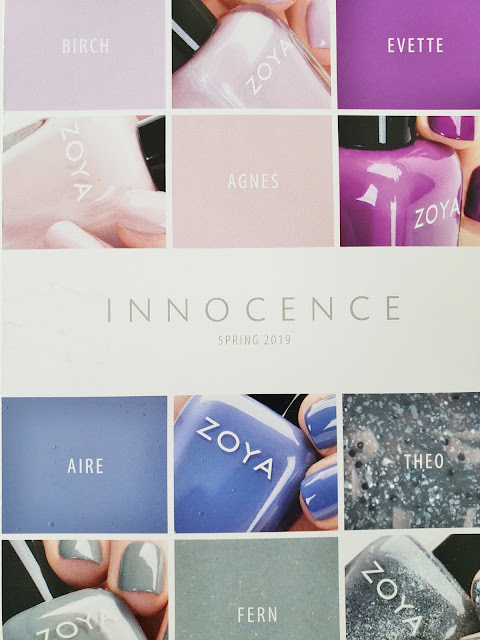 Zoya has created a soft, beautiful collection of 6 nail polish colors for spring, the Innocence Collection. 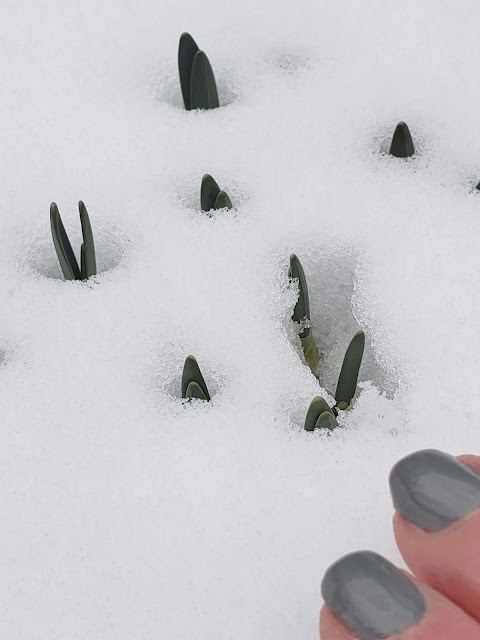 You are going to love them and actually can wear them now while we wait for the spring flowers that are starting to peak through the snow! 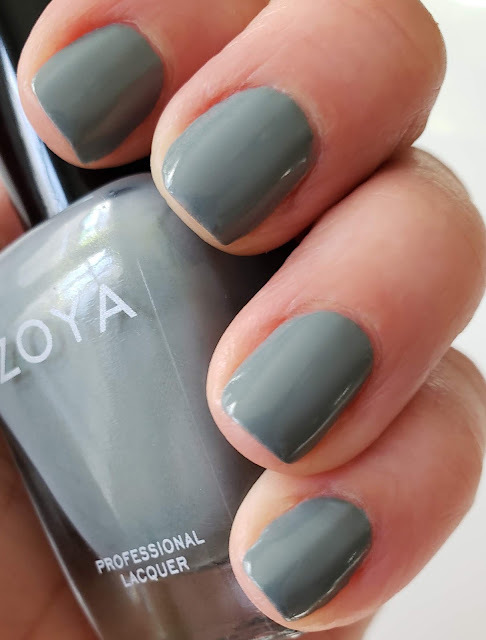 These easy to wear colors are already a hit at the salon. Maybe my clients anxious for spring or maybe they are just tired of wearing the darker colors. Birch is a pale grayish lavender. 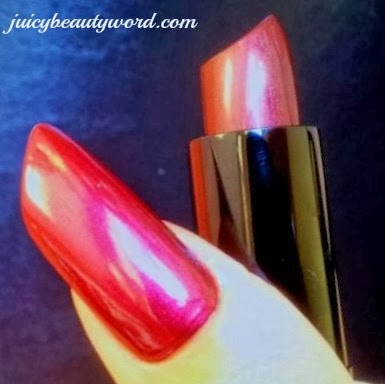 It provides full opaque creamy coverage and has a nice modern look. Agnes is a lovely skin flattering blush. It also provides full opaque creamy coverage. Agnes is a perfect bridal blush color. One of my favorites in the collection! 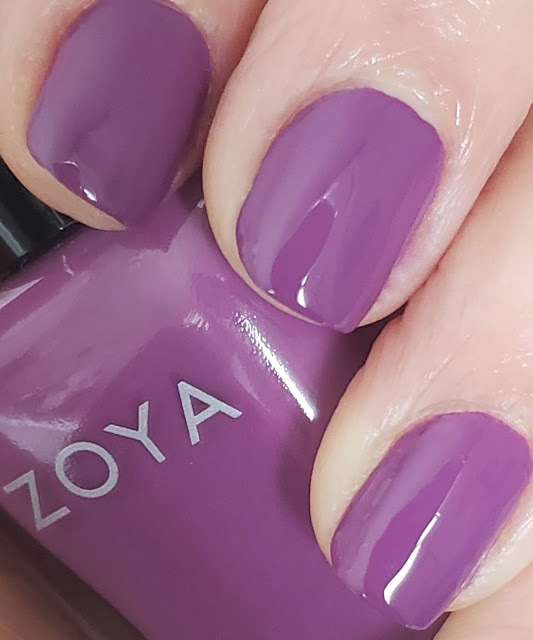 Evette is a beautiful grape with full opaque creamy coverage. It reminds me of a lighter version of Donnie from the Element Collection. Aire is a fabulous dusty periwinkle with full opaque creamy coverage. This one is a favorite for me and my clients. It had to go right on my toes! 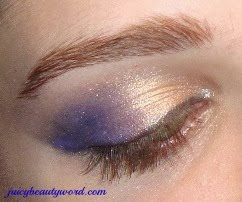 Periwinkle is a color that works well with many skin tones. It's just gorgeous. Fern is a gray sage with a soft, ever so slight, pearl finish. It too provides full coverage. This is another favorite. It is an unusual, but not weird, color than my clients are adoring! I just love it. I could see this being an awesome color for spring bridesmaids. Theo is the metallic one of the bunch. 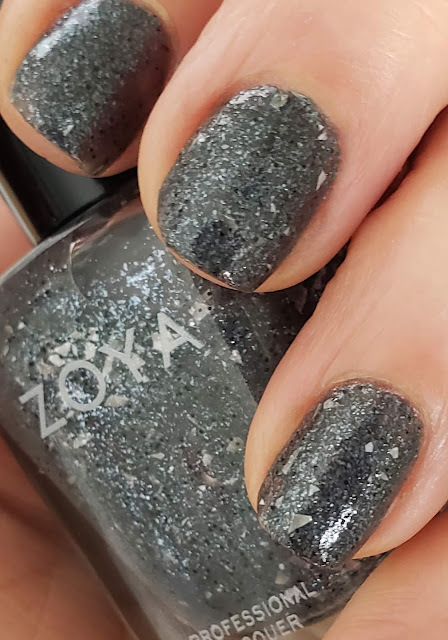 It's a gray with a fine dark blue glitter and multi sized and shaped silver flakes. As I mentioned, this color goes on more translucent and will build up to opaque coverage. I am always layering colors to create a custom looks for my clients. Many of them are fans of glitter as am I. Agnes looks amazing topped with Leia. Brides, consider this combination for your wedding day. 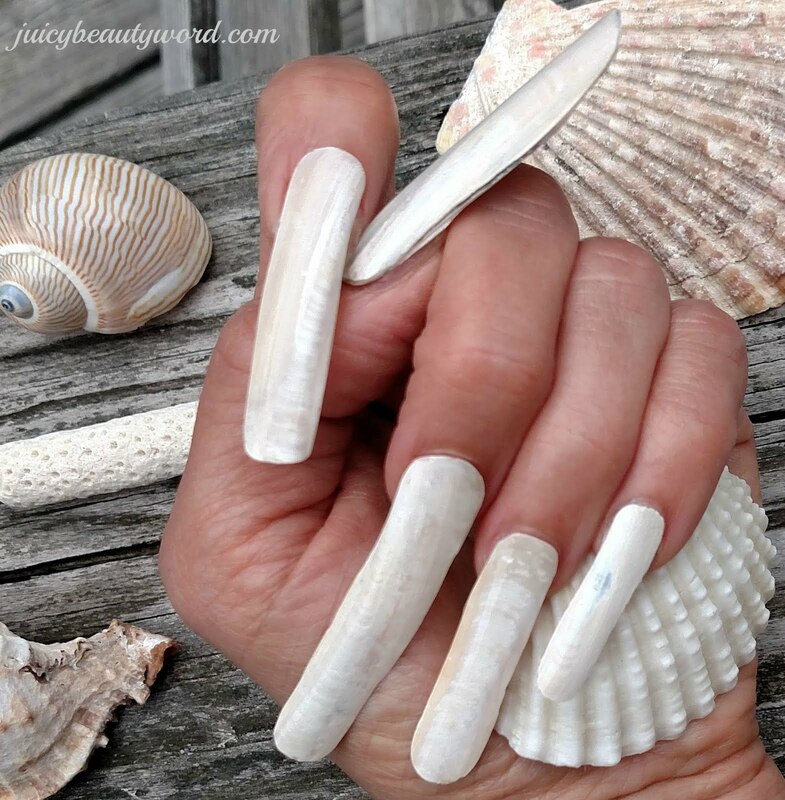 Top all the nails with Leia or just a few as accent nails. 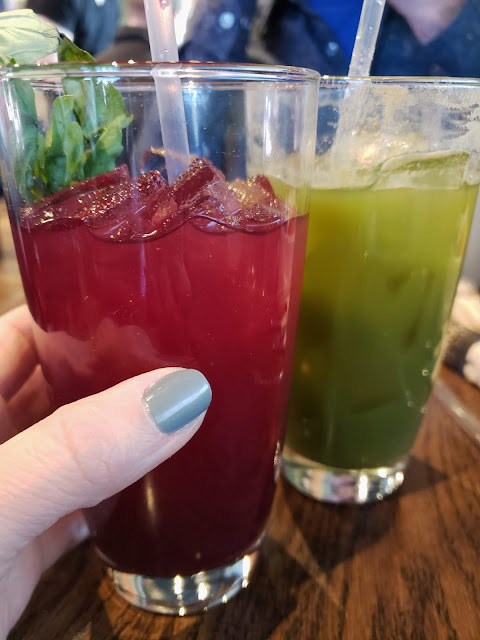 Who says blue and green don't go together? These two soft colors have a heathery softness that makes them coordinate beautifully with each other. I love them together! 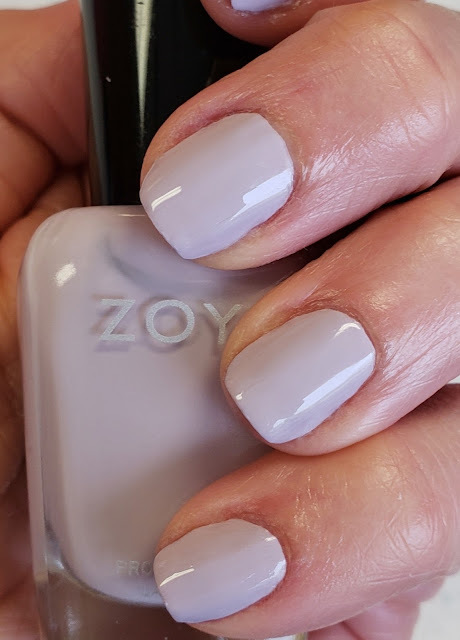 As always, Zoya professional nail lacquer wears quite well on natural nails and is free of the harmful ingredients formaldehyde, formaldehyde resin, dibutyl phthalate, toluene, camphor, TPHP, parabens, xylene, ethyl tosylamide and lead. 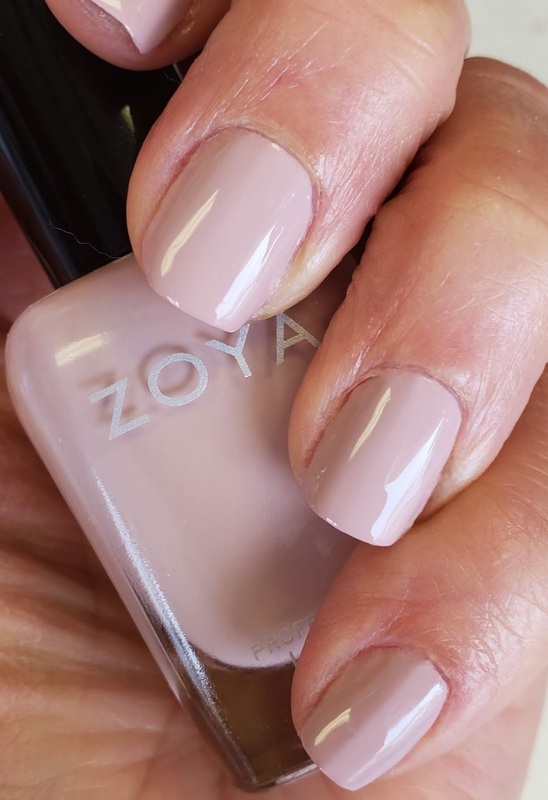 You can find Zoya products at salons, spas, zoya.com and on Amazon. 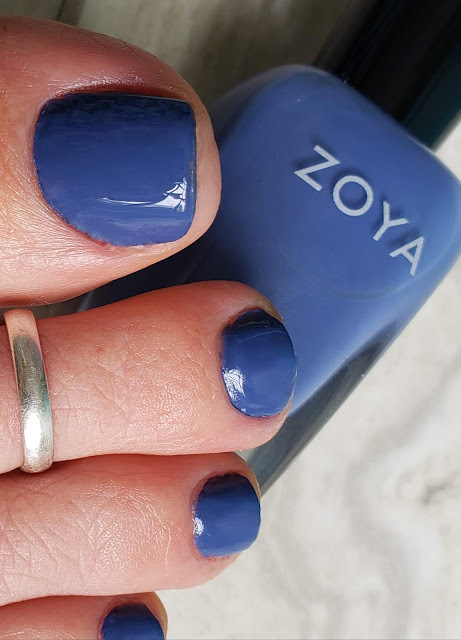 When it's time to remove your polish, I recommend Zoya Remove+ Polish Remover or Pure Acetone Polish Remover. Acetone is a safe effective solvent for removing nail polish. The Zoya Remove+ contains 2-propanone, aka acetone, diluted with water plus moisturizing glycerine. It removes your polish effectively without drying out your nails and comes in a great flip top pump bottle. Zoya Remove+ Ingredients: 2-Propanone, Water (Aqua), Glycerine, Fragrance, D&C Violet #2. Pure Acetone Polish Remover is the fastest way to remove nail polish especially stubborn glitter polish. 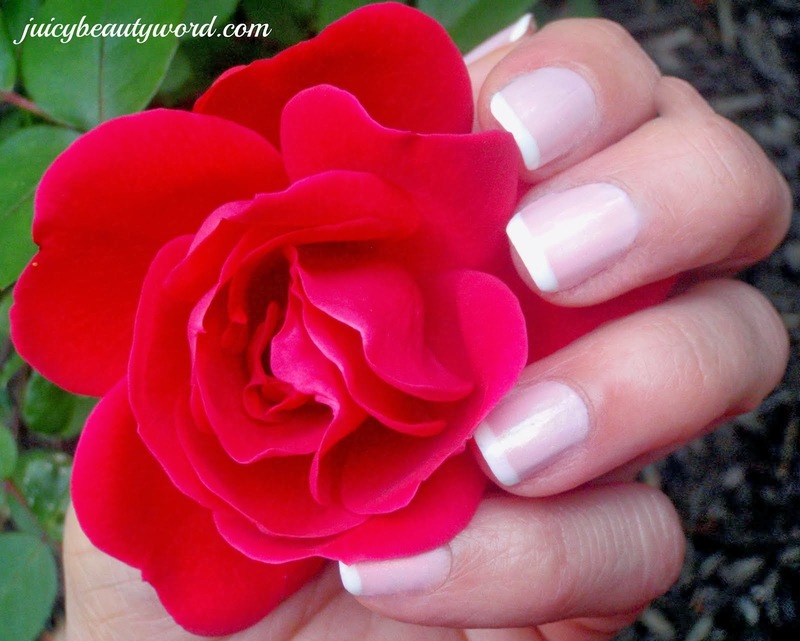 It will dry out your nails a bit but you don't need much on a cotton pad to whisk away nail polish. Quick, short exposure to acetone is not terrible on the nails. Soaking in acetone to remove gel polish is terrible on the nails. Rinse your nails after removing nail polish. Re-polish them or apply nail and cuticle oil if you are leaving them bare. Is your skin looking parched from the cold winter? It needs moisture and protection from the harsh winter winds! Some foundations offer more hydration for dry skin than others. 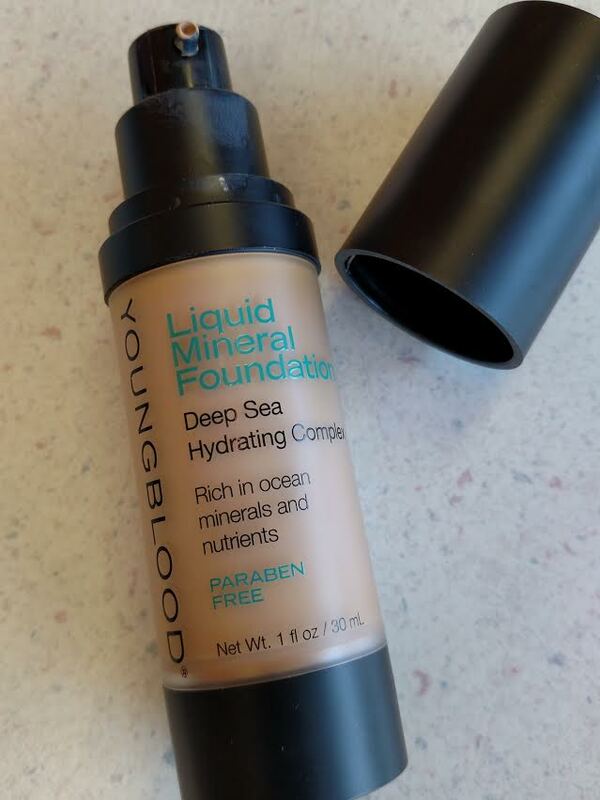 One of our suppliers suggested we try Youngblood Liquid Mineral Foundation with Deep Sea Hydrating Complex. I always like to sample a product before we start carrying it in the salon. 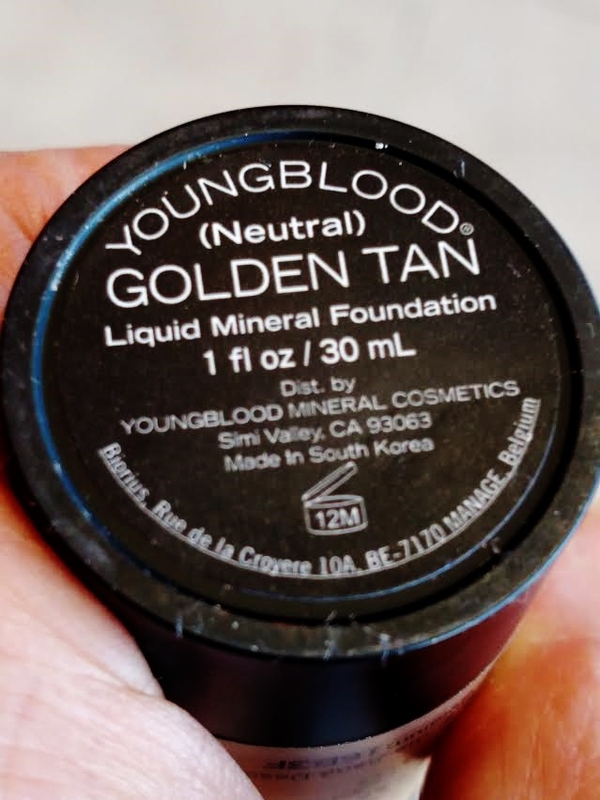 I completely agree with the philosophy of Youngblood cosmetics. These are mineral cosmetics that contain no talc, parabens or artificial fragrance and they are not tested on animals. The Liquid Mineral Foundation is also vegan and gluten free. This foundation contains a lot of flower and plant extracts and is suitable for sensitive and irritated skin. Which is great, except for my allergy friends. You really need to read the ingredient list for potential plant allergens. I found the foundation to be a light, somewhat thin liquid. You can see it starts to move down the palm of my hand when I tilt it. It worries me that it will not provide enough coverage. It's fragrance is very light and comes from a blend of the essential oils lemon, orange and ylang-ylang. They say it provides sheer to medium coverage with a satin finish. The best way to apply this foundation is with a foundation brush or your fingers. A damp sponge makes the foundation too watery and it doesn't go on evenly. A dry sponge tends to soak up too much of the product. I applied the Youngblood Liquid Mineral Foundation with a brush and my fingers over a moisturizer. I did not use a primer and I didn't set it with powder so I could see how it did on it's own. I also wanted to experience the amount of hydration it provided. It looked nice. I found it to go evenly but it became slightly blotchy throughout the day. I felt I needed to reapply it midday to smooth it out. Perhaps, my dry skin absorbed some water from it. A primer would probably solve that problem. The second day, I tried it with setting powder (still no primer). The powder did make it hold up better. I felt the slight itch from the foundation after application that disappeared quickly. 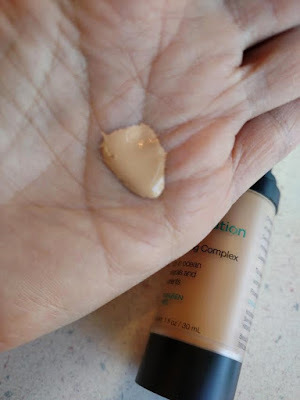 This foundation provided light to medium coverage. I found the coverage to be sheer but would build up with more layers. The finish has a fresh, dewy look. It feels very moisturizing and creased ever so slightly into the smile lines. This time I tried it with the Youngblood Mineral Foundation Primer. It's a clear gel primer that is applied after your moisturizer and before your foundation to help the foundation go on smoother and stay looking great longer. It is designed to blur out flaws making the pores look smaller and reducing the appearance of fine lines and wrinkles. Did it work? It sure did! 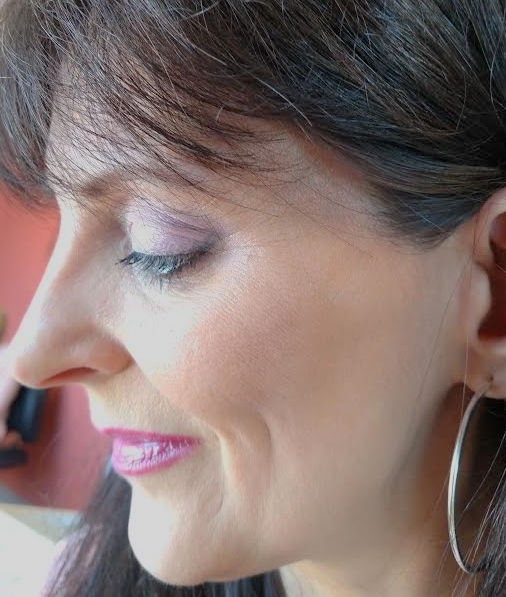 The Youngblood Liquid Mineral Foundation looked fresher and smoother all day long with the primer underneath. This magical primer can be used with any foundation. The Youngblood CC Perfecting Primer is another fabulous priming product your can use under a foundation or by itself. It has color pigments in it that help even the color tone of your skin. I highly recommend it! There are only two colors, Bare and Tan. Use Bare on light to medium skin tones. Use Tan on medium to tan skin tones. I recommend this foundation for dry/combination skin types for it's hydration effect. I think it's a great, light feeling foundation for everyday use. 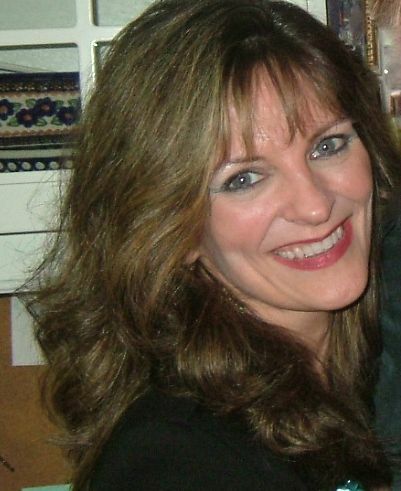 In fact, one of our salon owners has been using it and she is getting tons of complements on how great her skin looks! We now carry Youngblood cosmetics at Styling Point in Media, Pa. if you would like to stop in and sample them. Water, Cyclomethicone, Hexyl Laurate, Glycerin, Reduced Salt Deep Sea Water, Dimethicone, Butylene Glycol, Polyoxyethylene, Methylpolysiloxane, Dimethicone/Vinyl Dimethicone Crosspolymer, Sodium Chloride, Lauryl PGG/PEG-18/18 Methicone, Squalane, Camellia Sinensis Leaf Extract, Natto Gum, Cereus Granfiflorus (Cactus) Flower Extract, Salix Alba (Willow) Bark Extract, Plantago Lanceolata Leaf Extract, Chamomillia Recutita (Matricaria) Flower Extract, Magnolia Biondii Bark Extract, Sorbitan Sesquioleate, Citrus Grandis (Grapefruit) Fruit Extract, Propolis Extract, Calendula Officinalis Flower Extract, Thujopsis Dolabrata Branch Extract, Allantion, Cucumis Sativus (Cucumber) Fruit Extract, Disodium EDTA, Fragrance (Natural Fragrant Essential Oils- Lemon, Orange, Ylang-Ylang). May Contain: Titanium Dioxide(Cl 77891), Iron Oxides (Cl 77491, Cl77492, Cl77499). You can find Youngblood Cosmetics at salons and spas, on the Youngblood site and on amazon at great prices! 1. Apply your moisturizer. Wait a few minutes for it to absorb. 2. Apply Youngblood Mineral Foundation Primer or the Youngblood CC Perfecting Primer. 3. Apply Youngblood Liquid Mineral Foundation using a foundation brush or your fingers. 4. Apply Youngblood Minerial Rice Setting Powder (loose or pressed) with a fluffy brush to set your foundation without making it look dry or cakey. See more Youngblood cosmetic products. 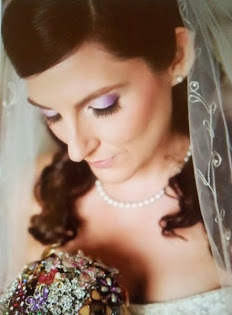 Click here for my makeup gallery and services information page.